I've mentioned before that my three best buddies in junior high all shared the same last name even though they were no relation to each other: Jones. There was Alan, Michael and John. After 40 years I am supposed to be meeting Alan next weekend, and possibly Michael, if Alan can arrange that. When I spoke with Alan recently, I asked him if he knew what John was doing. He said Michael had kept in touch with John. John and Alan both played upright bass for our school orchestra that was led by our beloved Mrs. Bicknell. Alan was the better of the two and we used to make fun of John a lot over his bass-playing abilities or lack thereof. John kept at it, though, earnestly practicing the electric bass and he got so good that he became a professional musician. John was a really nice guy. We used to unmercifully make fun of him, though. He claimed he was part Indian (for which there was no visible evidence), he tried to act like a hippie, and wore these really tight black pants (he was overweight). I was pretty mean - I used to call him "halfbreed" all the time as well as tease him because I knew I could outrun him any day of the week given that his tight pants didn't allow his legs to stretch out very much, lol. Underneath it though, I really liked him. He was a very gentle, kind-hearted person and a good friend. I was happy to hear that he ended up doing something in life that he really loved (I assume he loved it - he sure liked music in junior high) and I hope that he is really successful now. Trying to do a people search to locate someone with the last name "Jones" is pretty futile, but imagine searching for "John Jones." I googled "John Jones musician" and "John Jones bass" but the hits I come up with are for the guy in Led Zeppelin, and I don't think John ever got to be that good or famous! John's also the guy who made a big sacrifice, bowing out when both of us liked the same girl, J. Back then I was pretty rash and quick to condemn (still am, as you can see from some of the things I post on this blog although I try to be more understanding these days). It was the days of student demonstrations and rioting, of people violently protesting the Vietnam war. One day John and I were discussing this and I told him what the National Guard and police should do is just fire into the crowds and that would stop these riots pronto. "You don't mean that, do you?" John asked. "Yes I do. Just shoot them if they don't listen. If they get shot, too bad - that's what happens if they want to participate in stuff like that, and they get what they deserve," I told him very matter-of-factly." "Well, what if J was in that crowd? Would you want them to fire into it then?" "J wouldn't be in a crowd like that," I replied. To me, only the bad folks would be there. "She's not that kind of person." "Well just suppose she was," John said. "What if she was going to class and accidentally got caught up in the crowd and couldn't get away? You think it would be right for the police to shoot her along with the troublemakers?" That brought me to an abrupt stop. But since I hate being wrong I just continued arguing with him even though I knew he was right. Not having a decent retort, I probably either made fun of his pants or called him a halfbreed. Anyway, I think I owe John an apology after all these years. It would be nice if I could actually see him to deliver it in person - maybe after getting together with Alan and possibly Michael, that might just happen. I went for my usual weekly Costco visit on Saturday but have nothing much to report to you because I didn't buy anything out of the ordinary. All I have to say is finally I am down to one can of Chicken of the Sea tuna, which was a big mistake to buy, so this time I bought the Kirkland brand like I had been doing before. There's no comparison - the Kirkland is so much better. I had lunch with Katie today at the relatively new location of Noodle World in San Marino on Huntington Drive. Such a change from their Valley Boulevard location! I didn't have to deal with crazy drivers and traffic, and I like the look of this one a lot better. The menu is the same and the food tastes the same as the one in Alhambra. You know which one I'm going to next time..
Not much else to say except that on the way home from the usual Saturday night dinner with Julie's family this evening, I noticed that at every 4-way stop, there was another car or cars arriving at the intersection from the left or right at the same time as us. And I mean every stop. We always take a residential route home and there is hardly anyone on the road. You look up and down the streets and see nary a car. Yet, at each intersection, there they were. And behind them? No one, just empty streets. I hate it when I come to an intersection at a 4-way stop at the same time someone else does, and then you hesitate as to who goes first. What are the odds? Practically empty streets, yet not so at the intersections. I've thought about this before - do we get caught up in certain "tracks" in which we are destined to have encounters like that? If I pull over and wait for 5 or 10 seconds, would that put me into a different track that resulted in no other cars arriving simultaneously at the intersections? I know, what odd stuff to think about, but what can I say. I think about odd things. That's all for today... not even a YouTube. That's in a different track. If you had decided to read today's blog 10 minutes earlier or later than you actually did, the YouTube would have been sitting there below. We watched "Smile" tonight. If you aren't familiar with this movie, it's a wickedly funny satire of the American beauty pageant. It was made in 1975 and looks dated, but the human behavior hasn't changed. If you've never seen it before, it's worth renting. I worked in the student store at UCLA with a girl who had been a contestant in a beauty pageant in Hawaii. She told me that the movie wasn't too far off from reality. Watching this movie reminded me of events in which a bunch of people who don't know each other gather together (most often these are kids, but it isn't limited to young folk) and one of the most detestable songs I can imagine is played as an icebreaker: Getting to Know You. Maybe it's because I am anti-social or just think it's a dopey song, but I cringe whenever I hear it. It's at its worst when it is being played as everyone sits or stands there staring at each other. Or, more frequently, when it is a little kids event and the the kids stand there staring at each other while the parents try and do their duty by pushing their kids towards each other even though these parents would never do this themselves. On to other topics.. in my quest to find high-fidelity recordings of music I like, I end up taking paths all over Amazon.com's music section as one link leads to another and I click on the preview button to hear what the recordings sound like. Last night I ran across an artist that I thought was pretty interesting and I ordered one of her albums. She's a young Japanese jazz pianist named Hiromi Uehara, who goes simply by her first name. Here's a YouTube clip of her. Check out that wild hair. Young people from Japan have some crazy hair styles. Many of the people who have looked at my listing of things for sale have asked me, why do you have so many speakers???? Do you have some kind of fetish?? Well, uh, yeah, I think so. I've always had an interest in hi-fi stuff, always pursuing better sound. In high school and college we'd go visit stereo stores like Pacific Stereo (are you old enough to remember their store in Santa Monica?) just to listen to various systems and compare how they sounded. 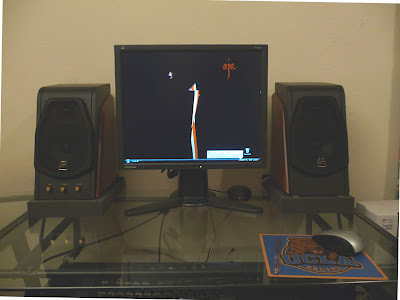 Do you also remember Rogersound Labs? They were a local outfit whose niche was selling speakers direct from their factory to the public, from their own outlet, which saved the cost of marking them up through the retail chain. They promised a full no-questions asked, money back guarantee if you didn't like their speakers. One day David Ritchie and I drove to their Van Nuys location to audition the speakers. He even purchased a pair. We took them back to his house, hooked them up (I think in his bedroom, which to date is still probably the messiest room I have ever seen) and listened. We sat there and looked at each other, both thinking the same thing. Were these the same speakers we heard in the showroom? They sounded.. well, they just sounded blah. Really flat - not as in a flat frequency response (that's a good thing to have), but flat as in soda with no fizz. Speakers are only supposed to reproduce the signal that is fed to them, but I don't know how to describe it. These just sounded lifeless. Something was missing. We checked to make sure they were connected properly, which they were. We listened a while longer and finally David decided to return them. Back we went to Rogersound and after getting the third degree despite a no questions asked policy, he got a refund. What's the point of all this? Nothing, really, it is just something that came to mind as I thought about all of the speakers that I've owned over the years. The majority of speakers in my ad are to be used for computers, not in the living room or den. I guess I have had so many of them because they are cheaper to replace than speakers for the main system. Finally, I arrived at my current set, which I like very, very much. Here's a picture of them. Pretty big for computer speakers, aren't they? But they sound really good so that's what matters. Now how long will those stay there? My current way of thinking says that those are good enough to be the last pair I will need and so that's the end of my quest. I think that's what I said about the pair before them, though. Well, one of these days..
Today's YouTube has embedding disabled but here's a link: click here. 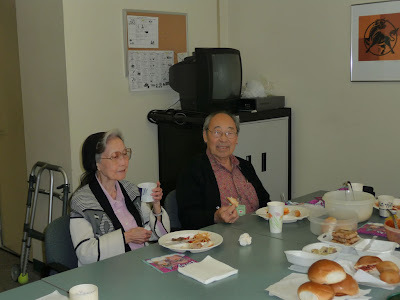 Keiro has a monthly celebration for the residents whose birthday falls within that month. Saturday they celebrated the March birthdays, of which my dad was among them. Lately he's been playing his harmonica around the facility and on Saturday he got his 15 minutes (well, more like five minutes) of fame to get in front of the crowd and put on a show. I didn't realize he was such a ham! But I tell you, we should all be in such good shape when we hit 91. 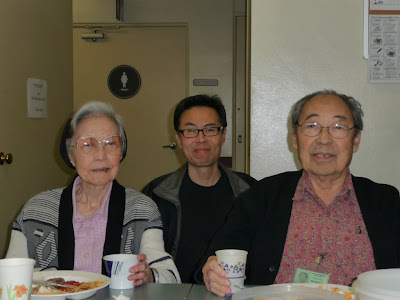 Afterwards someone came to our table and told him that he enjoyed the performance and as a fellow Nisei, it was really something that he'd be bold enough to perform in public like that. Things are changing but I know when I grew up most Asians shyed away from the spotlight. Despite playing in the band with Easy Livin' I feel the same way. I always felt secure hiding behind the drums and couldn't imagine myself being in Teri's place, standing solo at the microphone. Well I guess I could imagine it - in my dreams, haha, but that's about it. It was a normal Saturday morning for me - another visit to Costco. And this time I have some pictures to post of things I hadn't previously purchased. Thanks to the coupon book that recently arrived in the mail, I put some things in the cart that normally I'd pass by. 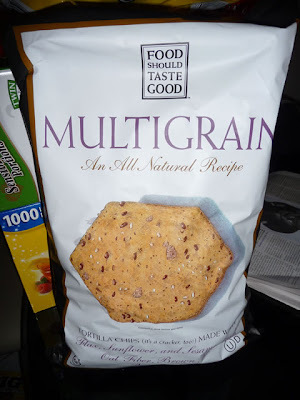 Like these multigrain tortilla chips. 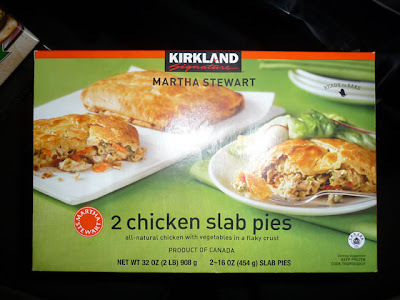 And, even though the nutritional information is on the horrifying side, every time I pass by these pies, the picture on the box looks so good that today I finally caved and said what the heck. There wasn't even a coupon for this, either. Doesn't it look delish? 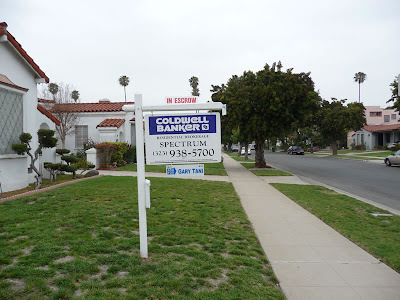 After Costco, Julie and I took a drive back to my old 'hood - the Crenshaw area. The recent rains caused the roof to leak at my parents house, resulting in a lot of mold growth as well as damage to the back walls. 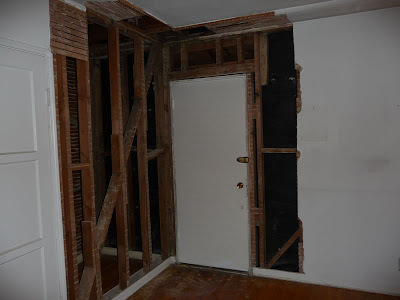 The broker found a firm that specializes in mold eradication and they finished the work last week so I wanted to take a look at it. Before going to the house, we had lunch at Tak's Coffee Shop. It's owned by the folks who used to run the Holiday Bowl Coffee Shop (the area where that used to be now has a Starbucks resting on it, sad to say). I'd never been to Tak's and wanted to try it out. We had to wait for a table when we got there. We both ordered breakfast; me, portugeuse sausage with eggs and rice, and Julie had canadian bacon with eggs and.. grits. Grits? I asked why did she order grits and she said because the hash browns would be too greasy. Go figure. As we ate I had a view of the television and could see the Bruins getting stomped on by Villanova. That was as sad as seeing Starbucks in place of Holiday Bowl. The food was decent, and certainly generously portioned. Tak's has a very comfortable feel to it, with friendly waitresses and happy patrons. We both liked it. After Tak's, we went to my parents house. As we drove through the neighborhood, Julie remarked that it looked pretty nice. "This doesn't look bad. These houses look pretty nice. It's a lot nicer than El Monte." ..and she thought those fancy houses on Norton behind Tak's were nice, too. The mold people (haha, the mold people) had to take off some of the drywall in the back two bedrooms and also removed the carpet. 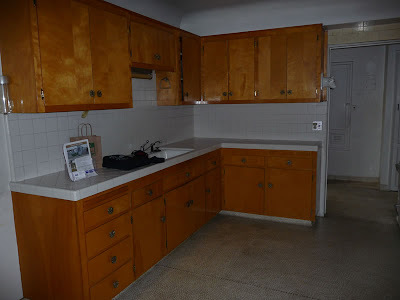 At least there are some solid hardwood floors underneath. Now the next step is to have a contractor put things back together. 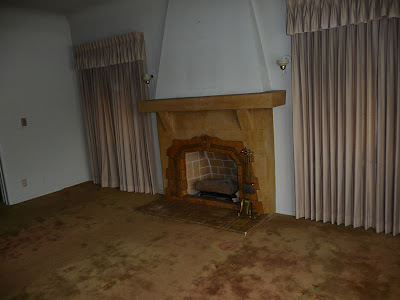 I took some pictures of the empty house and also did a video tour. 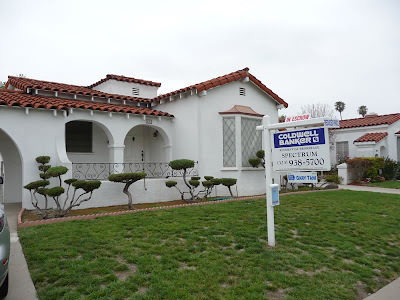 With the house now in escrow, all that we'll have left are the pictures and videos along with our memories. I snapped a couple of pictures of the front of the house before we left, too. And, today's YouTube is about the place where we had lunch today. I may have already posted this before, but it's good for a rerun. A couple of long-time sales reps at our company resigned this week. That's a great sign. It's a sign that the new sales manager we hired at the end of January is doing his job. It remains to be seen how many more of the existing group will leave (either voluntarily or involuntarily) but I think the message has now been sent to either get with the program or get out. You know what it was like before? Like someone who complains about an annoying dog that keeps coming around the house and asking when is this dog going to leave and when are things going to get better. Then someone else asks that person, why do you feed the dog every day? Well, the dogs aren't being fed anymore. It isn't rocket science - any fool could ask the same question: how long are you going to keep sales reps who don't sell anything? The tail isn't wagging the dog anymore.. I think we've turned the corner. As I did my run after work today I thought about how I am fortunate and blessed first of all to even be able to run. Secondly, that I live in a neighborhood in which I feel safe running at any time of the day or evening. Things could be much worse! I'm grateful. My run today brings me to the topic of the subject of today's blog. A few times I have seen an older Japanese man - well, I just assume he is Japanese because he reminds me of Mr. Tashima who lived across the street from us when I was little - walking his three dogs. They are smaller dogs, all different breeds and they appear to always walk in formation. They never bump into each other or get tangled up, and maintain the same distance between each other. Pretty funny if you ask me. The other day I was walking while they approached from the opposite direction. As I passed them, they all moved towards me, again in unison and it looked like all three were smiling. Do dogs smile? Or do they just look like they are smiling? Will a smiling dog bite? These dogs looked so amusing - all three of them, all different, but they definitely looked like they were smiling and were like outer space visitors who wanted to investigate me. The weather is warming up and we're getting into spring nights now. For me, the perfect music for such evenings is David Crosby's first solo album, "If I Could Only Remember My Name." 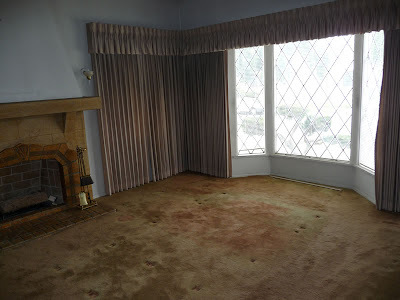 I'd sit in my room back in high school with only the lava light on, drifting off in the music while the night spring air wafted in through the open window. I notice that the album has an overall 5 star customer rating on the Amazon product page. Back in the day when the album came out, it was panned by the critics. Me, I loved it. It is still one of my all-time favorites. And the ratings on Amazon today bear that out. Just another example of so-called experts not knowing what they are talking about, haha..
First off, if you haven't already taken a look at my online rummage sale (I actually call it a garage sale but then that might too easily be confused with garbage sale, which it isn't), please see if anything interests you: click here. The other day I mentioned my goal of retiring concurrently with the mortgage on our house, which happens in 5 years. Thus I said I needed to concoct a 5-year plan on just how to accomplish this so I could go to sleep as late as I wanted and wake up as late as I wanted every day. Well, I'm still thinking about that but all that thinking brought me around to wondering just how do people become "experts?" I'm talking about the people who are featured in the media espousing their views on whatever people will listen to, and are regarded as "experts" in their field. Let's take talk radio. Just what makes the hosts of these shows any more knowledgeable than the average guy? Or those snooty, unbelievably boring people on public television (channel 28 in Southern California) who talk about politics? Or, investment advisors giving their opinion on when the recession is going to end, and telling you what to do with your money. Personally, I think you can grab someone off the street who has a reasonably wide enough vocabulary and possesses adequate diction skills, dress them up as an "expert" and let them start babbling away on the airwaves or translate them into print - and the audience will be none the wiser. Half the time just by chance they'll come up with something that is right on target, and the other half they may blow it but that will make them just as good as the next "expert" out there. If you flip a coin, in the long run you will wind up with an even amount of heads and tails (assuming the coin is balanced). But you will not flip alternate heads and tails. You will wind up with streaks of heads and streaks of tails. So it is with "experts." They suddenly get into a streak in which they guess correctly, resulting in them becoming the next media sensation with their 15 minutes of fame and everyone suddenly thinks they have credibility. Then when the other side of the coin starts to fall, the fact that this person has been burned into people's minds as an "expert" will act to prevent them from seeing the real truth, that this win streak was just the luck of the draw (or flip). Now think about Richard Simmons. Most people consider him an expert on exercise. But take a look at him these days - he's overweight. So how can he be an expert on fitness if he is overweight? Yet, he still has credibility in the fitness arena. It's because the old, fit Richard Simmons is what is in people's minds when they think of him. Or that quack Dr. Phil - is anything he says any more than common sense? And he doesn't seem to possess even as much as an average person does, yet because he is on television and Oprah loves him, he is perceived as America's greatest psychologist or psychiatrist or whatever. Woe to us!! I've been in situations where my knowing a little more than the next person has made people think I am some sort of "expert" in that area. Then if that impression sinks into the minds of others, all of a sudden you gain a reputation. The impression and the image becomes more important than what you really do. All you have to do is be profound once in a while in order to reinforce that image. Anyway, what the heck am I trying to say.. I don't know. I just got off on a tangent but loosely, I am thinking as part of this 5-year plan, somehow my putting my writing to use is a part of it. I know I need to clean up my pronoun use and switching from first to second to third person without warning, but hey this is a blog and what can you expect? I'm just typing like some maniac.. Things are piling up fast in Greg's room. I think I mentioned that in a prior blog. Anyway, it is time for my online garage sale. Before it gets even more out of hand, take a look and see if you want to take any off of my hand(s): click here. Oh, and you needn't ask, "why do you have so many speakers??? Do you have a fetish or something??" because several people have already asked that question, and yes, I suppose I do. Any questions about the stuff for sale, feel free to ask! I'll give you the straight scoop. Today I found out that someone at work that I have been saying for the longest time that we should get rid of, resigned. One of the reasons he gave was that he realized he has been a "drag on the company." Rather than be elated, I kind of felt sorry for him. Well, not sorry enough to try and talk him into staying, but after all this time I've been arguing that we needed to do something about him and now I find out he's leaving, I feel bad. I guess I am no better than Mary Richards (Mary Tyler Moore show). It's like how she might have felt had Ted Baxter quit and told everyone that he realized he was a drag on the television station. Well, maybe not. MTM wouldn't have been so critical in the first place. In that first video, from the first season of the show, I always wondered why they showed her weaving in her lane like that. Didn't she know how to drive better? Anyway.. don't we all wish we had a co-worker like her? Second..I'm making this short since I am attempting to finally clean up all the mess that has been piling up in Greg's room. Time for an online garage sale soon! Third.. recently a few folks from the past have gotten in touch with me and it was really good to hear from them. I mentioned Alan yesterday. Just a little while before that I heard from Ruben, a friend and classmate back from our 36th Street School days whom I haven't seen since junior high. He still remembers me calling him "four eyes" (well, we all called him that.. although now it is my turn to be four eyes). He ran across me on Classmates and sent a message. Through this blog I recently heard from Brien, who was Rick's next-door neighbor when we all lived in the 'hood. I didn't know him that well since he was in a different grade but he sent me an e-mail and it was good to hear from him. And I've written about seeing my old junior high buddy JT and having lunch with him, as a result of him coming across this blog and then sending me a thundering e-mail haha.. Anyway, it's such a nice surprise hearing from people and catching up on things. As Alan wrote to me, "We didn't know how good we had it." That is true.. it's like we just resume where we left off. Before my usual jaunt to Costco, I stopped at Kaiser this morning to have some blood samples taken for an upcoming checkup. Normally there's quite a few people on a Saturday morning so I took a book along with me: John Bogle's Enough: True Measures of Money, Business and Life. I'm halfway through it and would highly recommend it for a good perspective on how our financial sector has gotten out of hand. When my number was called (actually not too bad - about 1/2 an hour wait), I dutifully took off my jacket and let the lab assistant prep my arm with alcohol and jab me with the needle. I can never look. That kind of stuff makes me queasy. I asked her if a lot of people look at their own blood as it is being drawn. She said a few do, but most look away. Egads, how can anyone stand to look at that stuff.. anyway, it was over soon enough and off I went to Costco. Well, nothing new to report to you about Costco; aside from a bag of ciabatta buns, it was the same stuff I normally get. I noticed that Kirkland now has its own premium brand of cup of noodles, with shrimp and chicken. I thought about getting it until I saw how much sodium is in it so I put the box back on the shelf. The thing is, what's in the stuff with no labels? We had lunch at Merengue today, a Porto's knockoff in Monrovia that, if you ask me, can give them a run for their money when it comes to Cuban fast food. While biting into one of their potato balls I was thinking this stuff can't be any more healthy than the stuff I eye at Costco and put back because the nutritional information horrifies me. Haha, I don't know what I'd do if California ever enacted a law requiring nutritional disclosure on menus. I'd suffer from order paralysis. But today's big deal was.. a call from an old friend, my best buddy from junior high whom I haven't seen in 40 years! Yup, I've mentioned him before in this blog, Alan Jones. It was really nice to hear from him again. Julie and I were just on our way out to our Saturday night dinner with her family when he called so we didn't get to chat too long - like maybe 15-20 minutes - but we're going to get together sometime in the next couple of weeks. Maybe even with Michael, #2 of my three buddies who all share the same last name (but no relation to each other). I'm really looking forward to that! Anyway, I just wanted to mention the good news. There's a lot of catching up to do! Today (Friday as I write this) is "Pink Friday," referred to as such because teachers are making this their official day to protest the many pink slips that are being issued due to budget cuts. First of all, it is indeed unfortunate to have to lose any good teachers. Secondly, though, the economy is suffering and everyone has to suffer along, teachers and non-teachers. This may offend people but I'm sorry, the truth hurts. One of the greatest evils in our society is.. the employee union. It exists only to feed itself at the expense of societal good. Yes, at one time unions were a good idea but society has changed, and the operation of the union has become so perverted that it does far more harm to society than good. And the most evil, insidious union of them all? The teachers union. What a selish, me-first organization. What a wonderful example to set for our children. I find it laughable how they resist all attempts at implementing a performance-based system of compensation and instead want to operate on one that favors the lowest common denominator (do most teachers even know what a lowest common denominator is? I think not). Unions favor mediocrity and discourage excellence; nowhere it is demonstrated more tragically than with teachers. Why should the poor performers in any profession be retained? It is practically impossible to fire a teacher, no matter how awful they are. Everyone knows who the good and bad teachers are. When I grew up we all knew. No, the "good" teachers weren't the ones who were the easiest or let the students slack off. Sure, we liked it but we knew we sure wouldn't want our own kids to have a teacher like that. The best teachers were the ones who were able to make us learn - who cared about us, who inspired and motivated us - the ones we respected. Maybe it was grudging respect, but nevertheless, respect. There are plenty of teachers who are like that, and I am all for rewarding them very highly. But on the other hand, there are also plenty of teachers who are just the opposite. Why do we keep them??? Because of the union, that's why. Rather than raise everyone up to a higher standard, they would prefer to drag everyone down to the lowest. Now just how does this jibe with trying to get your students to excel? If you want your students to be like your union, then you ought to give every kid the same grade. And promote them to the next grade until they graduate, no matter what. Wow, a system like that would really prepare them for the real world - IF they got a union job, that is. Now, I watched Norma Rae and cheered for her as did everyone else in the audience and, I feel, rightly so. But if Norma Rae were here to see what has become of her cherished unions and the self-serving mediocrity they promote, she'd be on the other side, trying to get rid of these evil organizations - in particular, ones like the California Teachers Association or whatever they call themselves. Now it kind of looks like whoever wrote the title of today's YouTube must have been educated in California, haha.. Hey, you are welpcome to vizit my forum and leave your commets: click here. I remember a Peanuts cartoon from long time ago in which Linus tells Charlie Brown, "I love mankind.. it's people I can't stand." Well you know, my job would be wonderful except some days dealing with people just wears me down. That's one reason why I enjoy working from home a couple of days a week because, even though I do get phone calls, the people aspect of it is minimized. Me, I prefer to be a like the Burgess Merideth character in that Twilight Zone episode where all he wants to do is to be alone so he can read his cherished books. While sitting at my desk on Wednesday listening to someone complain about everything under the sun, the same thought came to me that has been more and more frequent: I've got to find some way to become financially independent! The mortgage on our house has but five years to go and wouldn't that be grand if I could make my retirement concurrent with the last payment on our loan? I think that's definitely a worthwhile goal to shoot for. Now I just have to think of how to do it. More on that as it comes to me..
Changing the subject, my daughter posted a link within a comment she left a couple of days ago which I have to give her credit, contains the answer to solving our current crisis in the economy. It is such a simple solution - so much more efficient and less costly than the billions and trillions Obama is throwing to the swine left and right. This simple solution makes our burden 100 times smaller than everyone is claiming it to be. All we have to do is the same thing that you see in the video below (from the link left in the comment the other day; I just embedded it for you to see). We just need to teach the new math is all.. take a lesson from the Verizon people - we take our deficit and convert it from dollars to cents. Duh, why couldn't we see this before? Can you hear me now? Just a quick post.. not much to say since work has been overworking me lately but I wanted to mention that recently, I've heard from some people I haven't seen in ages - recently I mentioned having lunch with JT, for example. Some I knew better than others but in any event, it's really nice to hear from them! It really puts me in a good mood.. I'll write more later but I just thought I'd post it so you know I'm still here in case you are wondering what happened to the usually overly prolific wordy long long long blog posts you are used to seeing. And also.. whoever reads this blog - feel free to say hi, too! Having nothing better to do and not having time to do much else, I have now enhanced the sense of community for all of you anonymous visitors to this site! Go ahead and check out my new forum/message board: click here. Feel free to register - you can wear a fake beard or moniker when you register if you want to be Clark Kent and keep your identity a secret - and then post a message or two. So play us a song, you're the harmonica man.. play us a song tonight.. for we're all in the mood for a melody.. and you've got us feeling all right..
Oh, never mind that was supposed to be Piano Man. On Saturday we had a little celebration lunch for my dad who is going to be.. 91 years old in a few days. Wow.. anyway, he has become quite the hit at Keiro with his harmonica so I took the liberty of taking a few videos of him and posting them on YouTube. So instead of one YouTube there's a whole slew of them today. On the way to and from Costco this (Saturday) morning I listened to my FM radio hoping to hear some of the good old songs to match with the pretty day outside. The results were mixed but I did manage to hear Don McLean's American Pie (which is still part of my all-time top ten), Jimmy Ruffin's What Becomes of the Broken Hearted (which, since I was in my car on the noisy freeway I could sing along with and not be self-conscious) and The Jaggerz' The Rapper. Back in 1970 when that song was popular, the word Rapper had a whole different connotation. A big part of an oldie is the memory that comes with it. I always associate the teacher's strike with The Rapper. The first day of the strike we all wondered if we should attend class. Or rather, we wondered if we had to attend; there was really no clear answer on that one so then that led to the next question, should we attend. My natural inclination was not to attend. It had nothing to do with solidarity with the teachers, it had to do with my hating school and being happy for any opportunity not to be stuck in the classroom. But we worried about it; would we be penalized for not going, since there were substitutes conducting classes and the official party line was that it was business as usual? Common sense said that with our regular teachers walking around with picket signs and so many students staying away from class, how could we really be held responsible for what was covered by the subs? They had no lesson plan to work with and I'm sure the striking teachers didn't care - if they refused to teach class, how could they expect us to attend it? Besides that, our class co-valedictorian wasn't going to class so that was reason enough to follow his lead. Phillip also had the distinction of having not only his driver's license, but a car. Kurtis, Keith and me piled into his green bomb and drove up to Hollywood Boulevard where we spent some time walking around. Pretty much the only thing I remember from our sojourn was Kurtis wanting to hang around the Broadway department store stairwell so he could watch the girls in their miniskirts walk up and down the stairs. I'm not sure how long the strike actually lasted but I am certain that I was sad when it ended. That's what comes to mind when I hear that Jaggerz song. Oh, and as for today's visit to Costco, I have nothing to report. There were some good samples of refrigerated Mexican food entrees like carnitas (the real thing, not those bogus pakkai-like fried and battered chicken nuggets that El Pollo tries to pass off as "carnitas"), barbacoa, chile verde and salsa. But what I actually bought was uneventful and not worth showing any pictures. Odds and ends today as I type this on Thursday night while taking a break from doing work work stuff..
First, a couple of fast food chains have been advertising their latest creations and I thought I would add my two cents about them. When's the last time you ate at Arby's? I can't even remember my last time; it must have been decades ago. Have you seen their latest ad blitz for their new Roastburger and how it is superior to the standard greasy hamburger sold by their competitors? I have to say that looking at the sandwich on television (and their website), I would never even know this was supposed to be roast beef. It looks like ham. Or artificial meat, like shaved spam. It sure doesn't look in the least bit appetizing to me - gimme a hamburger any day! What were they thinking, anyway? Roast beef is supposed to look succulent, not sterile. That said, I have to disclose that I haven't tried that concoction myself but then I don't intend to. I think it will be more decades from now before I set foot inside of another Arbys. I did try the "chicken carnitas" heavily touted by El Pollo Loco. From the place that is supposed to be healthy, these are little deep-fired nuggets of chicken enclosed in batter that reminded me of sweet and sour pork (pakkai as I like to call it for which Julie says there is no such Chinese word.. maybe it is some kind of vision affliction). There seemed to be more batter than chicken in the portion I got. 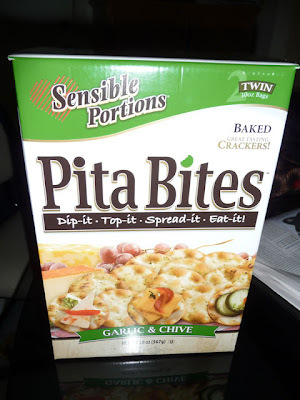 It tastes okay but they make it sound and look better than it really is. Okay, those are my food reviews for the day. Now I have to get back to work. I feel like my worklife is some sort of perverted ponzi scheme.. it keeps piling up and I spit out something that is a finished product that I take off the top while the pile keeps getting bigger and bigger. Well I guess that isn't really a ponzi scheme but that's the idea that came to mind. Maybe my workload is like our nation's deficit? It just keeps growing? Did you spend any time pondering the question I posed yesterday about the Let's Make a Deal problem of which door to choose and whether or not to stick with your choice? 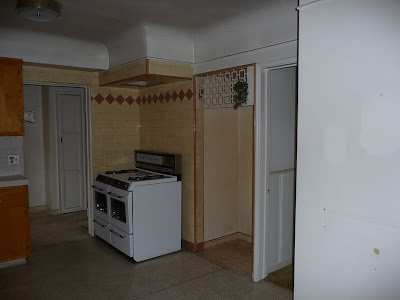 There are three doors from which to choose, only one of which holds a nice price. The odds are 1 in 3 that you will pick the right door. You pick, say, door #1. Monty Hall, who knows what is behind all three doors then opens up, say, door #2 to reveal something wicked and disgusting, like a politician. As the politician is escorted out to their limousine by lobbyists, that leaves you with your original choice of door #1 and the other door you didn't choose, door #3. Monty asks if you would like to switch. Should you? Intuitively the answer is it doesn't make any difference. The odds were equally 1 in 3 of choosing the right door, so you have just as much chance of the prize being behind door #1 as you do for door #3, right? Let's say that there are 100 doors to choose from. You pick, say, door #1. The odds of your having chosen the prize door are 1 in 100 (no matter which door you picked, the odds would be the same). Now Monty, who knows which door has the prize, starts up his bit of showmanship and begins to reveal what is behind the other doors. Naturally to keep the suspense going, if you chose the wrong door he isn't going to reveal this right away and ruin the game. Instead he keeps opening doors that he knows contain booby prizes. Finally, he gets to the point where there are only two doors remaining, the one you chose, door #1, and the last door among the 99 others, let's say door #78. Now the question is, if he were to offer to let you switch your choice from door #1 to door #78, would you do it? If you had any brains you would switch! Why? Because when you made your initial choice, the odds of you picking the right door were 100-to-1. That means that the odds of the prize being behind one of the other 99 doors was 99 out of 100. There was a 1% chance of you being right, and a 99% chance of you being wrong. Now that Monty opened all but one of those doors, keeping in mind that he knows which one is the prize door, that means that the odds are much greater that the prize is behind that last remaining door, the one you didn't choose. Right? Because the unchosen door, #78, came from a population of choices that had a 99% chance of containing the prize, whereas the door you chose came from a population that had only a 1% chance of containing the prize. And so it is with the question/problem I posed to you yesterday, the difference being there are only 3 doors instead of 100 doors. When you made the choice of door #1 for the 3-door problem, you had a 1 in 3 (33%) chance of being right. The chances of the prize being behind the other two doors was twice that, or 66% (actually 66 2/3%). Now you have the opportunity to move from a choice that had a 1/3 probability of being right to one that had a 2/3 probability of being right. Confused? Well I'll leave it at that. And I promise, no more stuff like this, at least for a while! I thought that was very interesting so I decided to share it with you. Yesterday I posed a probability question taken from the book I'm currently reading. Assuming that the students were lying about having a flat tire, success on their makeup exam depends on both of them naming the same tire on the car as being the one that went flat. What are the odds of that happening? The author said most people would reason that each student had four tires from which to choose, and therefore the odds were 1/16 that they would both name the same tire (each of the four tires had an equal chance of being named by student A, thus 1/4, and same for student B, 1/4. 1/4 x 1/4 = 1/16. But that's not correct. The correct answer is that there is a 1 in 4 probability (or the odds are 1 in 4) that both students will pick the same tire as the flat one. Once student A has made his choice, be it the front driver or passenger side, or the rear driver or passenger side, then student B has a one in four chance of choosing the same tire student A chose. So the odds are 1/4. Comprende? If the above is confusing to you, wait until you ponder this one, also from the same book. Remember the old game show Let's Make a Deal? And how host Monty Hall would often offer contestants their choice of door number 1, door number 2, or door number 3? Behind one of the doors was a truly great prize, like say, tickets to see James Taylor. Behind the other doors were things that really stunk, like having to endure listening to Nancy Pelosi, or being forced to eat dinner with one of our California legislators. Lets say you are the lucky contestant who gets to choose one of the doors. So you make a choice. Naturally Monty is not going to show you what is behind your chosen door first. Since he knows what is behind all three of the doors, he will show you one of the two doors you didn't choose, just to make it more interesting. He opens one of the other doors and there stands Nancy Pelosi. Whew, you managed to avoid her! She's too busy to pay any attention to you anyway and off she goes in her private jet to a conference. So that means that the good prize is either behind the door you chose, or the other door that remains closed. If the good prize was behind the other door you didn't choose, of course Monty was not going to show that one to you and ruin the ending. Then he asks you if you would like to change your choice and switch it to the other door that is closed, instead of the door you originally chose. Should you do it? Are the odds better for you if you switch, or if you don't switch? And of course I am not going to tell you the answer today.. you'll have to wait to see what is behind the next blog post..
Everything in life just seems to pile up. Like the stuff on my desk at work. Or the things I keep adding in Greg's old room. At least today I finished my rewiring job on the audio and video equipment so everything is neatly in place. For now. One thing I was thinking about that really keeps piling up are paid bills (which I guess is better than having unpaid bills pile up). After paying all the monthly bills (mortgage, electricity, phone, credit cards, what have you), they go into the filing cabinet. And even though paper is pretty thin, it adds up and the cabinet gets more and more packed. I was wondering, is there really a point to saving all of this stuff? When is the last time I ever had to go back and actually look at an old bill? My boss told me he never saves any of his bills. As soon as they are paid, he throws them away. That policy hasn't caused him any problems yet. I was thinking that I ought to save the phone bills, though. What happens if a record of the phone call is crucial to proving my innocence - like on those television crime shows? Haha.. what are the odds? Speaking of odds - I've been reading an interesting book entitled, The Drunkard's Walk - How Randomness Rules Our Lives, authored by Leonard Mlodinow. He argues that much of what we attribute to cause and effect is really no more than a result of random action. He also says that we are often way off the mark when our minds calculate probability pertaining to a problem or issue we are facing. The book is a lot more interesting than my lame description, let me tell you. Two students ask their college professor if they can take a remake test because when they were riding together to class, the car got a flat tire. The professor agrees. The students take the remake exam in separate rooms. There are two questions on the test. One, a technical question, is worth 5% and the other question is worth 95%. The 95% question is: Which tire was it? What are the odds of them getting it right? I'll give you the answer in the next post to this blog, as well as post a real doozy of a question from that same book. Meanwhile, happy Monday to you all (whoever you may be)! Broken record time - Saturday morning and I went to ___ . Actually first I went to my mechanic and dropped off the car for its 30K mile servicing. Unlike car dealerships, they only do what is necessary and charge accordingly, rather than doing who knows what and leave you scratching your head about it when you see the bill. So my trip to Costco was delayed. This time Julie went too, and we had a nice cheap lunch at the food court. Less than five bucks for the both of us - a Hebrew National polish dog for her and a slice of pepperoni pizza for me plus drinks plus tax, and still got change back from a fiver. People on Chowhound are raising a big stink about how Costco is replacing the Hebrew National dogs with their own Kirkland brand and how the new dogs are horrible. The Azusa location still has the HN dogs but I'd be interested to see how the Kirkland ones fare. According to the latest issue of the Costco Connection (I almost called it The Reporter - wasn't that what the old Fedco magazine was called? Ah, good old Fedco..), the Kirkland brand was the preferred dog in the taste tests they ran. Anyway, after soaking up the puddles and pools of grease from the pepperoni, I enjoyed my slice. Not much to report about what I bought today. Nothing new except for a heavy pan of baked ziti which we haven't tried before. The package says it feeds 13 so you may be wondering why we bought it.. well, it was $9.75 for the whole thing and it looks like you can portion it out and freeze some of it for later. Sorry, no picture; I'm too lazy to get it out of the refrigerator. My back aches now. But at least I got every single cable labeled in Calibri 9-point font so I know what goes where. 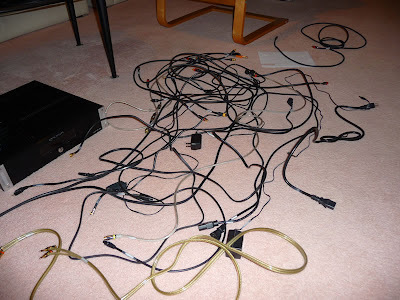 All those cables kind of reminds me of playing Chutes and Ladders. Once everything is hooked up again, this is going to be first thing to be played (well not exactly - I mean from the DVD, not this little YouTube picture! ).